I love Leonardo DiCaprio more than any living actor in this world. Ever since I saw Whats Eating Gilbert Grape, I thought he was just the best actor ever. I heard some bad things about The Beach (2000), but I didn't care, because whatever Leonardo is in I am guaranteed to like. Even if 'The Basketball Diaries' was a bit over my head. 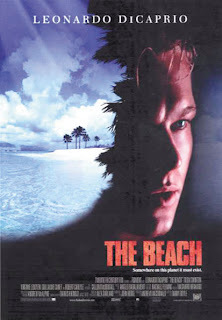 Okay, so The Beach is not the greatest movie ever, it's not like Titanic but it is still an average watch. And I'm not just being bias because Leonardo is in it. His performance is so electrifying, it's like he completely possessed the character of Richard, like he does with any other character he plays. Will someone please give him an Oscar??? Anyway, enough about the greatness of Leonardo DiCaprio, and more about the movie. Richard (DiCaprio) is a tourist in Bangkok who finds a map to a forbidden island. He instantly commands the help of Francoise (Virginie Ledoyen) and her boyfriend, Etienne (Guillaume Camet) to come with him to the island. 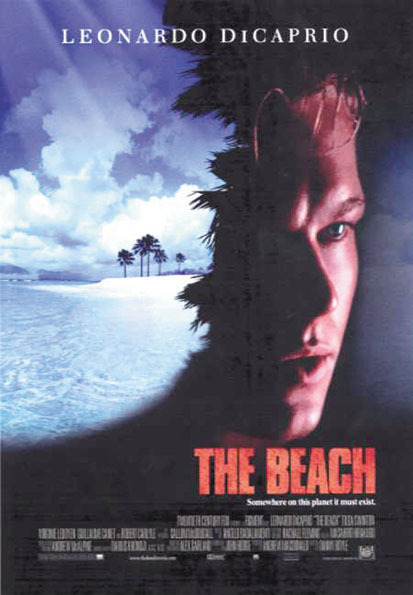 When they get there, they discover heaven on earth, but soon they realize that they can't return to normal life, as the residents on the beach are like a secret cult. There is plenty of action, interesting romance and a lot of drama, but...Well, it isn't perfect. It was what I would expect from Danny Boyle, an interesting shot film with a great soundtrack, just like Slumdog Millionaire. However, it was a little strange, quite distorted, and sometimes lost it's zing. It was like a rocky road, it has it's ups and downs, and it was a long journey to the end. Now, Leonardo DiCaprio fans unite to see this film, because you will like it, but if you can't sit through long movies, then avoid it. I actually find this one to be really under rated. Some elements doesn't work like when Richard becomes Lt. Willard from Apocalypse Now in the jungle. But the shark attack scene and the scenes following it are really good.